Recently met a couple devs working on exciting AR apps that I featured below. ARKit related startups keep releasing beta invitations to devs. 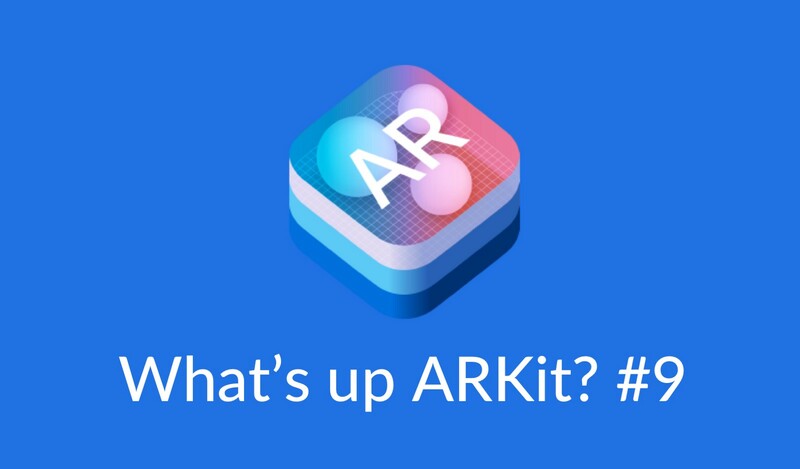 We’ll see as well the new ARKit 2.0 apps released on the AppStore with iOS 12 really soon. David Lui (@lDavixl), who is working at Apple, shared that you can now easily integrate AR content in Apple articles today by embedding a usdz file! This is the Apple documentation about it. ManoMotion is a startup working on using very precise hand tracking to control AR experiences including ARKit. They recently opened their beta to developers which you can subscribe to on their website her. You should also check out this demo made by a japanese dev @lileaLab with it: link. Warren Moore @warrenm spotted that the ARKit Quick Look Gallery now includes a link to download a package containing stand-alone USD (v18.09) libs and Python scripts to drive them. Jacobo Koenig (@jacobokoenig) created a concept that shows movies previews directly on theatres. Alberto Taiuti (@albtaiuti) and Jordan Campbell (@jordanNZ_AR) are building an app that allows you to place any 3D environment selected on a map where you currently are. Cool demo! Cabbibo (@Cabbibo) created an example of interactions with AR and cards. He/She also did a full thread about the XR reflection behind it. On the same note, you can check out Cameron Horst work. 6D.ai AR Cloud startup recently updated their beta with SceneKit & Swift support, you can get into the beta on their website 6D.ai. Recently discovered this really fun concept app with amazing effects on your face while playing a song. This is the dev’s website kitasenjudesign.com and link to download the free app — download. Rosie introduces your child to robotics and programming through adventurous puzzles and active play. A fun and educational AR app for iPhone. Download for free here. Met one of their dev Florian Maushart @FloMaushart, strongly recommend to follow him as well! Daniel (@danielkuntz0) created an app to learn over 130 chords on your piano in AR. Available now for free here: download. Check out the demo video. Create an avatar and create some cool animations, also supports an animoji-like mode, you can put your avatar face on your head, even before iOS 12 is released! Met one of their dev Romain Boinot, they are coming up with exciting updates as well! Thanks Sai Kambampati @Sai_K1065 for sending it to me! This is referring to all the alerts we all received on iOS 12 beta 11 when we were unlocking our phones.